This is Mark Knopflerlive in concert (AVO Session), the venue was Festsaal, Messe, Basel, Switzerland, and the concert took place back on the 12th November, 2007. This is a more complete version of the gig, using two different radio broadcasts for compilation. I am not sure if it is the full show, however I am yet to find any additional songs elsewhere. 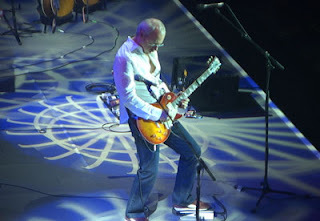 There are also a couple of more tracks recorded a week after this show for the BBC in London. Source: Main Source: Swiss radio DRS3 Broadcast, December 24, 2007. Second Source: Swiss radio DRS3 Broadcast, November 13, 2007. Sound Quality: Very Good stereo (from FM analogue cable) @192kbps mp3. Set: Full set (unable to confirm), plus two additional tracks. 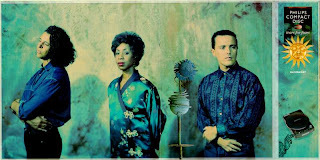 This is Tears For Fears on the American leg of their 1990 world tour. The picture is from their programme for this significant tour of the band (the printed material may have varied along the way). Somewhere (I hope) I still have a pristine copy of the tour programme from the UK leg of the tour. I got to see them in London, and they were incredible, I guess you could say at the peak of their game. This is a superb recording of the band back on the 12th February 1990, as I understand in the Public Hall, Cleveland, Ohio, USA. Source: First generation soundboard recording. Sound Quality: Excellent direct stereo soundboard. Genre: Forerunners of Indie Rock-Pop, Oh! just seriously and consistently great songs and albums.